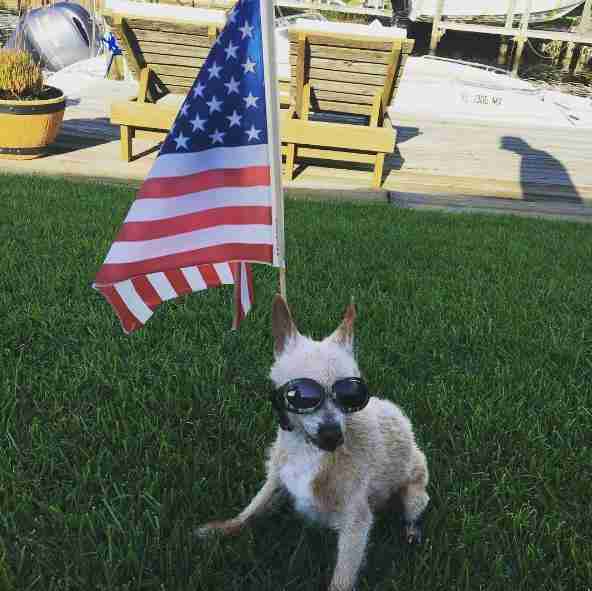 Buster is a 15-year-old Chihuahua/poodle mix who has lived with his mom and dad in Florida since he was a puppy. 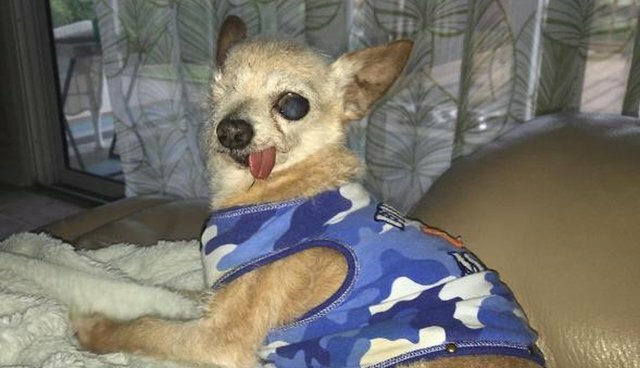 Buster could see for most of his life until he got glaucoma in both eyes. One of his eyes became infected last year and the vet decided that the best course of action would be to remove it. 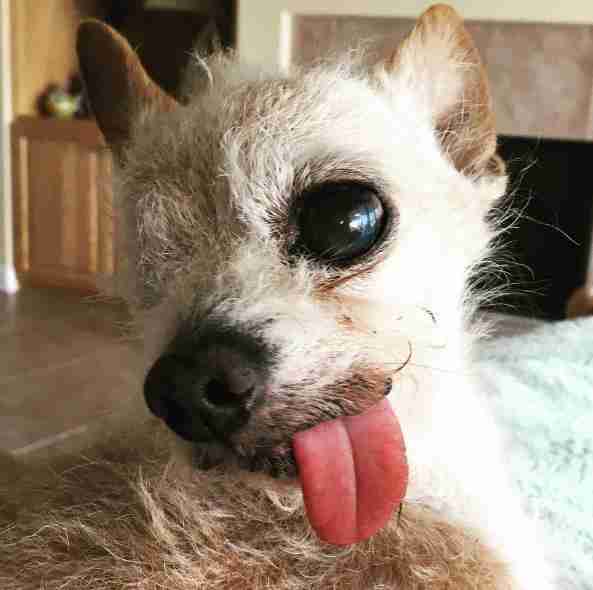 Since then, he's completely lost his sight in his remaining eye as well - but that hasn't stopped him from being the happiest, sweetest dog around. 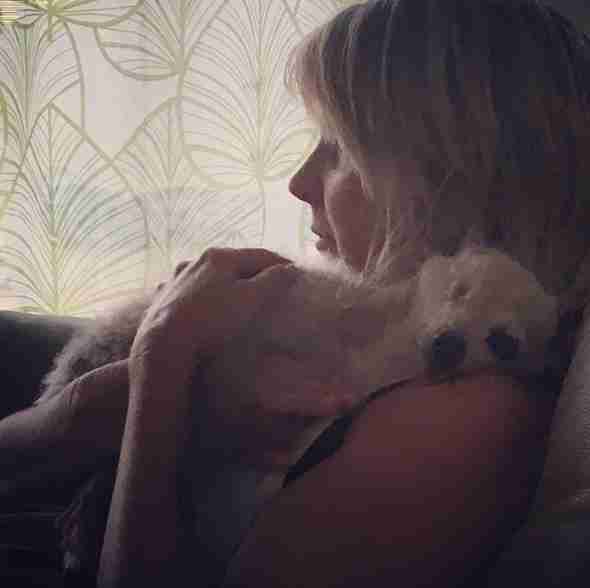 "Sometimes all he wants is for me to carry him around in a pet harness. 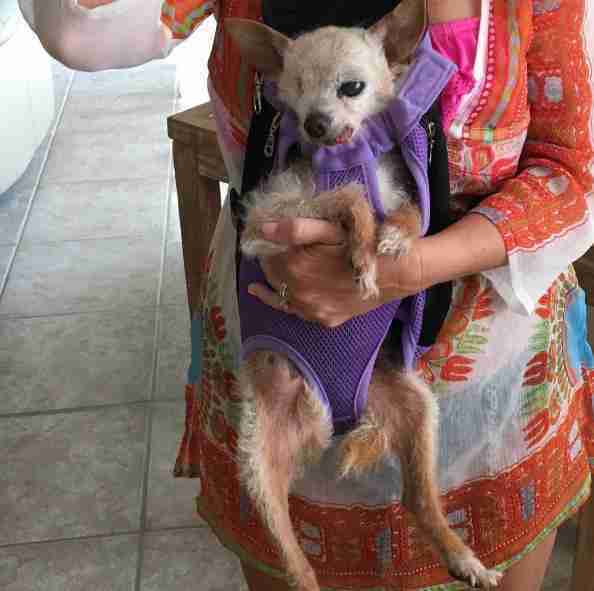 He is so content in the harness," Karen Rhea, Buster's mom, told The Dodo. "It allows me to do things around the house because I don't have to worry about him and he typically falls asleep while in it. I think it makes him feel safe." ... and he just can't seem to keep it inside, which is fine, because it's pretty adorable. 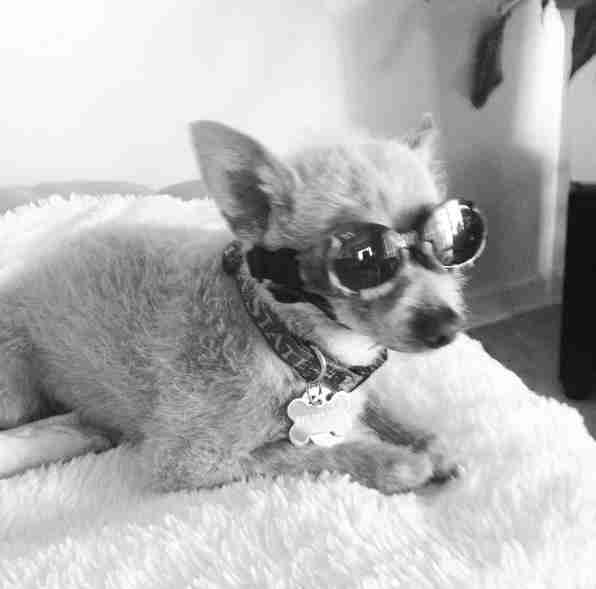 An even cuter fact about Buster is that sometimes, he gets to wear super cool goggles to keep his remaining eye safe. "He doesn't wear them all the time, but I will put them on him when he goes outside a lot of the times just to protect his other eye," Rhea said. 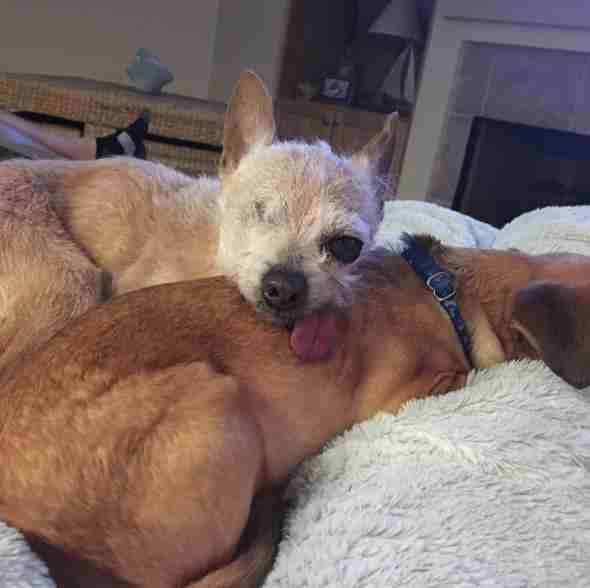 Buster also has a brother, Biskit, an 8-year-old Chihuahua mix who was adopted from a Florida shelter in 2011, and the pair love doing everything together. 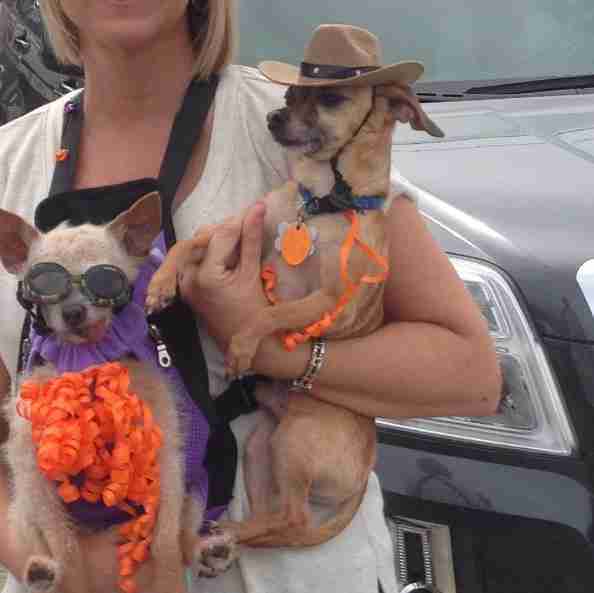 "Buster and Biskit get along GREAT," Rhea said. "They sleep side by side." 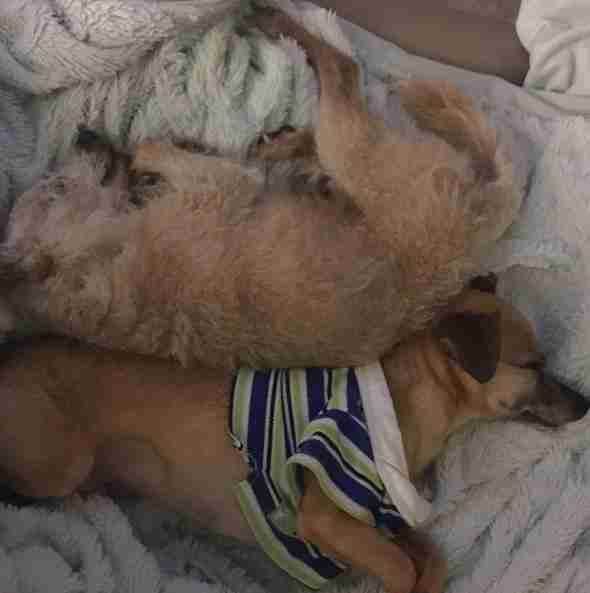 Biskit seems to have no idea that Buster is any different, and the duo hang out just as any two brothers would. The boys' parents have a boat that they love taking them out on, and while Biskit isn't a huge fan of anything having to do with water, he loves going just so he can be with his family. "He would rather be with us on the boat than stay home without us, even if it means he may be getting wet," Rhea said. 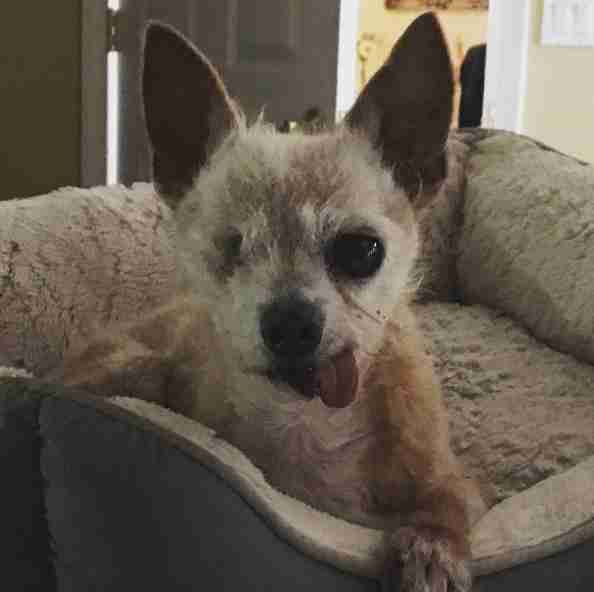 All these senior dogs really want is to be with their family all day, every day, and their parents are perfectly happy to oblige. 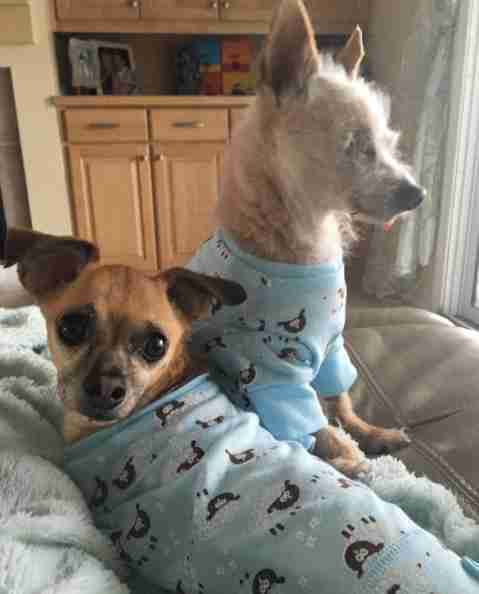 "Buster and Biskit are our best friends," Rhea said. "We love these boys."